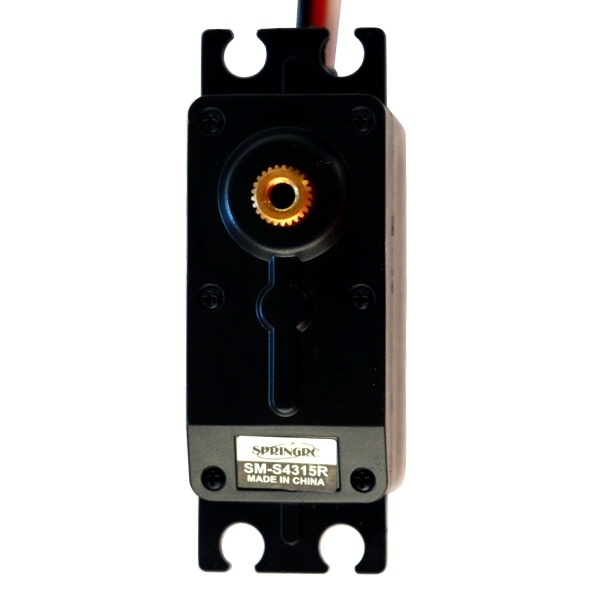 The SpringRC SM-S4315R is a standard sized continuous rotation servo. This continuous 360 degree rotation servo spins at 50 RPM with 210 oz- in of torque at 6 volts. It has analog electronics that operate from 4.8-6V and features all metal gears and a universal JR type connector. 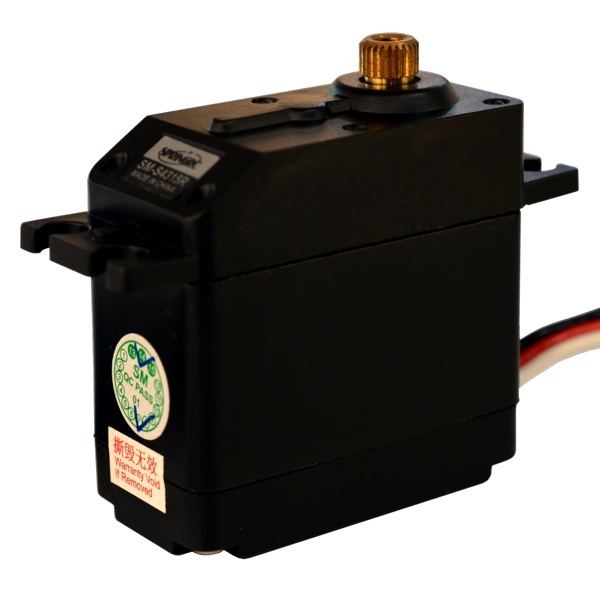 This servo has a standard sized metal shaft for compatibility with our selection of servo wheels.